Solvaderm's Stemuderm Review - Why It Should Be Your First Choice? Stemuderm Review – Why Stemuderm Should Be Your First Choice? Stemuderm is a product that is designed to help reduce the look of lines and wrinkles on the face, in particular around the eyes and mouth. The skin firming complex increases collagen synthesis to improve elasticity and tone sagging skin. It is made by the company Solvaderm, who produce a wide range of high-quality products all designed to be used as part of a complete skincare regime. The ingredients used in all Solvaderm products are scientifically developed and said to be used by skincare professionals. 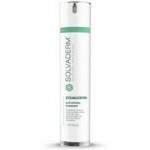 Solvaderm has an official website which shows all their products and includes full contact details, skincare advice, and secure online ordering section. Stemuderm comes with a 60-day money back guarantee on all purchases. Customers can also get a further 10% discount OFF their purchase. The Stemuderm formula consists of independently tested ingredients that help to relax the facial muscles, reducing contractions and thus preventing wrinkles and lines from forming. It uses certain peptides such as Acetyl Hexapeptide-8 and Acetyl Glutamyl Heptapeptide plus a substance called Syn-Ake. This works much like Botox but produces a less ‘frozen’ look, gently relaxing the muscles around the eyes and mouth area which is where the majority of wrinkles appear. Other ingredients in the blend are Apricot oil to lessen inflammation and irritation, Jojoba Oil which, being very similar to the natural oils in the body, nourishes and unclogs pores, Matrixyl 3000, to stimulate the production of collagen, restoring a youthful appearance and Malus Domestica Fruit Cell Culture. This contains Swiss apple stem cells that have the ability to actually slow down the aging of cells, extending their longevity. To add extra moisture, Stemuderm uses Squalane and Hyaluronic Acid, two highly hydrating substances that plump and firm sagging skin. Stemuderm should be lightly massaged into the face and neck twice a day after cleansing and toning. Stemuderm is full of effective and proven peptides that reduce the number of wrinkles and lines in aging skin. It is a good natural alternative to procedures such as Botox injections which are expensive and may have certain health risks. Stemuderm itself is in the higher price range but this is justified by the quality of the ingredients and the fact that it is made by a reputable, internationally renowned company. It would be a recommended brand for anyone wishing to fight severe signs of aging. I bought Stemuderm for myself after I went on an online buying spree for skincare products for my son, who suffers from acne. It’s very impressive. The ordering process was so easy and shipping is also fast. My skin looks better than it has in years and I plan to be a long-term user. Stemuderm Is Helping Me Have The Prettiest Eyes Again! I’m only 48 years old, but I was already developing crow’s feet. I was appalled by this development! I’ve always been known to have the most beautiful eyes, and with these crow’s feet I felt like they weren’t nearly as attractive. I know a couple of women who use Stemuderm and they have amazing eyes, so I started using it too. Within a few weeks, my crow’s feet disappeared completely. I mean disappeared! My eyes look absolutely stunning now, and I owe it all to Stemuderm! I recommend this highly to all women! Stemuderm Took Away The Dry And Replaced It With Silky Smooth Skin! Stemuderm did wonders for my dry skin. It’s always been an issue for me. My skin has always been hard to hydrate enough, and I need a really excellent moisturizer to do the job. I’ve tried numerous products over the years, but I never found one I truly loved until Stemuderm. This cream makes my skin soft, and even silky. After about 3 weeks the dry skin was gone and in return there was lovely, rosy skin that almost glowed. This is a product that I have no trouble recommending to any woman, old or young. My husband and I are the same age, 56, yet I had far more wrinkles than he did. I hated that I looked a lot older than he did and I worried that he would stop being attracted to me. That’s until I found Stemuderm, my secret weapon! After just a few weeks, many of my wrinkles have smoothed out. I must say my skin looks fantastic! I look younger, and my skin is just glowing. I keep getting complemented by everyone, especially my husband. I’m mad about this skin cream! Stemuderm Helped Me Look Younger Than My Colleague. Thanks! I’m a busy career woman of 45, who works at a very competitive law firm. There’s a woman in the office who I am pretty much in constant competition with about absolutely everything. She’s 44, so close to my age. However, I had been noticing recently that she looked younger than me and it bothered me greatly. I had all these little lines and wrinkles on my face, and hers was smooth and lovely. Then I found Stemuderm. What an amazing cream. After a few weeks all the lines and wrinkles were gone, and my face now looks fantastic. Far better than my colleague’s skin! My Ugly Old Neck Now Looks Young And Smooth, Thanks To Stemuderm! I felt so old before I found Stemuderm, and now I feel young! I’m 61, and I had an old lady’s neck until I started using this cream. I was looking at myself in the mirror a few weeks ago and I saw that there were age spots, wrinkles, and skin tags all over it. That’s when I decided I’d had enough and ordered Stemuderm. Four weeks later, I must say my neck is looking fantastic. This cream has made my skin soft, and it has smoothed out a lot of the wrinkles. It took care of those age spots and most of the skin tags, too. This is a product that I have no trouble at all recommending to other women. In my mind, Stemuderm is the holy grail of skincare. It has everything I need in one bottle and there are other products that you can use with it that are more specific to certain parts of the face. In my mind it is a fantastic value and I can’t imagine why anyone would pass it up. I wouldn’t stay that I have rough skin, but I don’t have skin that gets a lot of compliments. Now that I’m using Stemuderm, I noticed my skin is so much smoother. My boyfriend can’t stop touching my face. He said I should use it on other parts of my body! We’ll see about that. Overall, it’s great. If you think of your skin being a barrier to the outside world, it doesn’t seem like all that much, does it? It is a powerful thing, but the truth is that we need to take better care of it. I do a lot for my overall health and so I feel pretty good most of the time, but I love the way Stemuderm makes me feel when I use it. I know I look younger. My first impression of Stemuderm is a good one. I was impressed with how it truly rejuvenated my skin right away. I generally have sensitive skin, so I can’t use every product without getting irritated. I found Stemuderm to be easy to use and it didn’t irritate my skin at all. I feel very positive about this product and I like what it is doing for my skin. I will continue to use it. I’ve been using Stemuderm for a couple of weeks now and there are some definite improvements. It’s not going to turn back the hands of time to when I was 20, but it’s a big enough improvement that I feel confident with myself again. I only have to use a small amount of cream (just a little dab) and I spread it evenly over my entire face. This product works well if you have a combination (oily/dry) skin, like me. I was happy that it did not make my skin feel greasy. I also noticed a reduction in my pore size. Finally, something that works! I’ve done a lot of research on different skin products and one thing that stuck out to me about Stemuderm is that it contains technologically advanced ingredients. That impressed me right away. I then read a few reviews and researched some of the ingredients and decided I wanted to try it. So far, my skin feels great. I can’t wait to see what it will do for me in the future. I use Stemuderm along with other things, such as supplements, facial exercises, diet and exercise and pretty much anything I can think of. Getting older was not something I was prepared for. I mean, I knew it would happen, but I didn’t know how it was going to make me feel. My husband assures me I’m still the most beautiful woman in the world to him, but I don’t always feel it. Stemuderm is helping me find my groove again. I’m not sure any of us want to get older on the outside. The inside and the wisdom is fine, but we all want to stay young forever, right? At least, I do. I really wanted something that could slow down the aging process. Stemuderm definitely does. I highly recommend it.